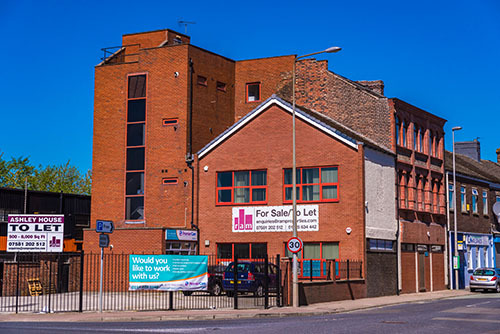 Ashley House is a four storey building of approximately 10,000 sq ft situated in Widnes, Cheshire. It can either be let as a whole building or split down to make 4 self-contained units with the upper floors being accessible by the staircase or the lift. All units are modern and fully decorated and have double glazing and central heating. Some units also have the benefit of air conditioning. The buildings is approximately 13 miles from Liverpool City Centre, and 25 miles from Manchester City Centre with both the M56 (junction 12) and M62 (junction 7) motorways being approx 10 minutes’ drive. Ram Properties celebrates 25 years in Business!! !